President Trump’s America First agenda, to address his predecessors Policy failure that led to the declining of the U.S industrial and manufacturing might and glory of yesteryear. Synonyms to the nostalgically recalled “Make America Great Again”. Furthermore, Thomas wright, also argued that Trump’s Protectionist ideology has three main under-pinning and fundamental principles, which are; firstly, his opposition to US Current Alliances, Secondly, his opposition to free trade; and thirdly his support for Authoritarianism. If these principles decrypted into policy by the current administration. This will finally lead to US forsaking the Liberal international tactics that President Trump’s predecessors have developed and practiced since after world war II, for the rebirth of a new World Order. Thomas Wright further maintained and placed Trump’s foreign policy in an ideological and historical context purely on Trump’s fundamental principles, which are contrary to the past Republican president’s international affairs beliefs since the 1980s. https://www.brookings.edu/program/foreign-policy/ With the above assertions, its seems like President Trump is strategically moving away from both parties and his forerunners Ideologies nonetheless maintaining certain concepts of the Republican party. Therefore, he is a Reformist with Isolationist conceptual perspective! According to “Perry, J & Perry, E (2009) A Reformist, aim to make incremental changes to existing society. 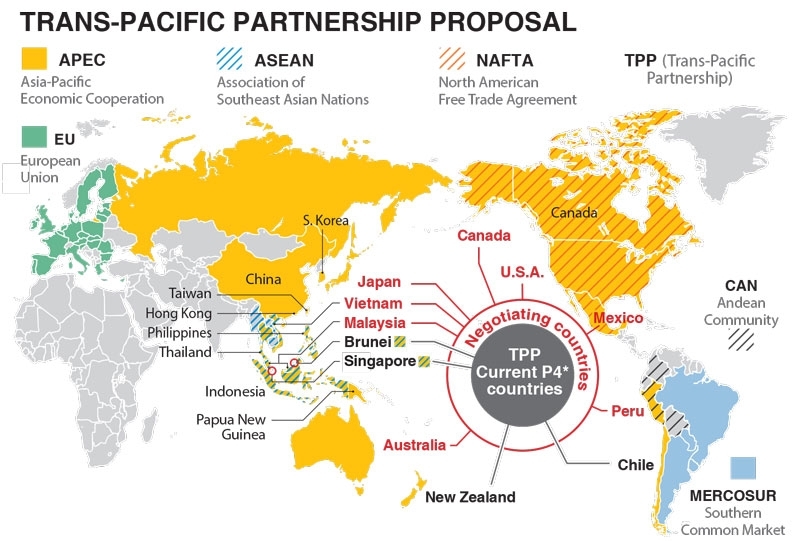 For instance, the withdrawal of the United State from being one of the signatory to the Trans-Pacific Partnership Negotiations and Agreement, in favour of bi-lateral one-on-one deals (TPP). That’s President Trump’s America First agenda failed to take into considerations the International Institutions rationale for setting up Trade Blocs. These alliances, they claimed enable Businesses to gain, ensure, and promote comparative advantage amongst members states and that it helps facilitate more efficient political unit in globalized world. 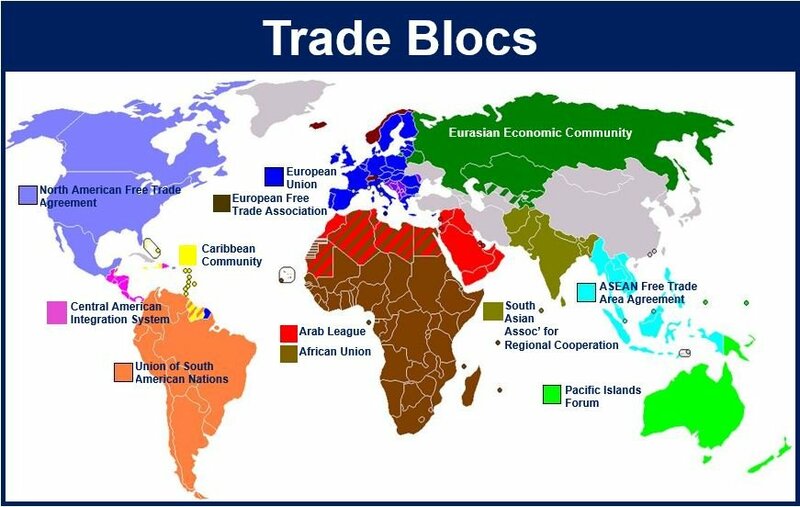 Whilst those against setting up a Trade Blocs like President Trump argued that trade Blocs, promote trade diversion rather than free trade. it’s is protectionist (or more so) than states and that it distorts world markets Albrow, M, Eade, J, Washbourne, N and Durrschmidt, J (1995). Trump’s decision not to join the Trans-Pacific Partnership (TPP) was expected. As in his opinion the international trade deals, are responsible for US citizens job losses and focusing anger in the industrial heartland. Although TPP was never ratified by the Republican-controlled Congress, but several Asian leaders had invested substantial political capital in it. Their countries represent roughly 13.5% of the global economy, according to the World Bank. Similarly, on June 1, 2017 President Trump pulled the U.S. out of the non-binding Paris Climate Change Accord, hoping to begin re-negotiations to re-enter the agreement and make it “fair” to the U.S. the same situation with Iranian nuclear deal, demonstrating another contempt for International Institutions. Trump presents himself as a businessman and as an anti-politician. He emphasizes on America First and tries to create easy environment for states that heavily rely on traditional energy as an industry. Trump proposed the America First Energy Plan, in which he intends to re-stimulate the U.S. fossil energy industry. John Ravenhill (2011) ‘The Study of Global Political Economy’ Chapter in Global Political Economy (OUP 3rd edition), pp. 3 – 19. Lewis, D. (1987). The public image of Henry Ford. Detroit: Wayne State University Press. Paris Agreement – Climate Action – European Commission”. 2017. Climate Action – European Commission. https://ec.europa.eu/clima/policies/international/negotiations/paris_en. Presidential Actions”. 2017. Whitehouse.Gov. https://www.whitehouse.gov/briefing-room/presidential-actions?term_node_tid_depth=46. Pevehouse, Jon C, Jeffrey Haynes, Peter Hough, Shahin P Malik, Lloyd Pettiford, Joseph S Nye, David A Welch, and Donald M Snow. 2012. International Politics. Boston: Pearson Learning. No. 1 (Winter 1986), pp. 1-27. The Fela Durotoye Co. 2017. Feladurotoye.Net. http://www.feladurotoye.net/. Woodson, Jacqueline, and Earl B Lewis. 2004. Coming On Home Soon. New York: G.P. Putnam’s Sons. “What’s New”. 2017. Globalpolicy.Org. http://www.globalpolicy.org/. Will 8th Nov 2016 go down in the USA History as the most significant date, when America post-cold-war International Relation models suffered an irreversible crash? 8th Nov 2016, being the day Donald J. Trump was elected as American 45th President, using the Slogan “Make America Great Again”. 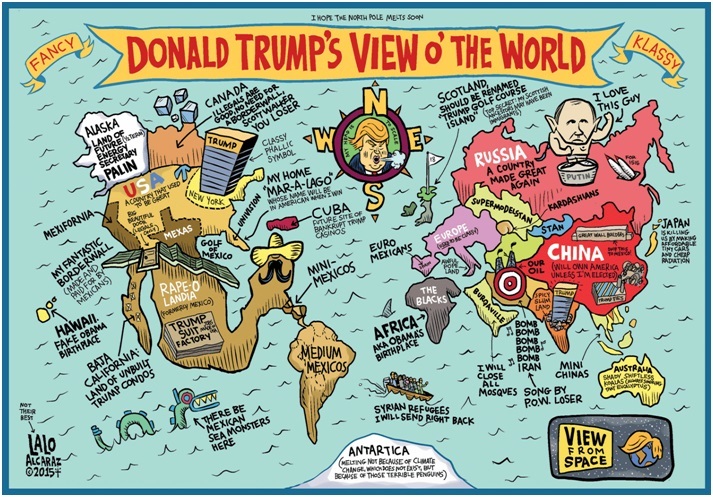 Political philosophers worldwide will be examining the International Relation theory paradigm, norm and values and scrutinising how Trump’s ideology and practice (Protectionism & Nationalism) will impact on these beliefs. Owing to the recent facts cited by Barbara Perry, director of presidential studies at the University of Virginia’s Miller Centre. She argued that “Donald Trump was elected because he has no military or political experience and does not recognise the political norms”. The absent of state credentials gave him the popularism amongst the disenfranchised communities that believe that the established political elites needs to be thought a lesson or two. For pursuing policies that have little and/or no positive impacts on their livelihoods. This lesson may prove too costly overall for the US International Relation that the past American presidents have taken years to develop. As the surge more, Marxist International Relation theory is now evidently being exhibited by the so-called disenfranchised voters. Up until President Trump’s administration, his predecessors ensure US is one of signatory to TPP, Paris Climate Change Accord, Iranian Unclear deal, and normalising relationship with Cuba. For a while its seem like the world most advance communities are beginning to work in one accord. Akin to the American folk hero, Henry Ford thinking on International Relation. Henry Ford (1863-1947) maintained that “Coming together is a beginning. Keeping together is progress. Working together is success.” For once, Henry Ford rational seem to be working for those 195 Countries Paris Climate Accord and the Five permanent members of the UN security council plus one (P5+ 1) till President Trump Inauguration on the 20th January 2017. After his Inauguration he has dispensed several presidential memorandums in contrast to his forerunners. One of his first presidential memorandums is the withdrawal from TPP, which was issued on the 23rd January 2017. For the withdrawal of the United State from being one of the signatory to the Trans-Pacific Partnership Negotiations and Agreement, in favour of bi-lateral one-on-one deals, consequently, seeking economic dominant, as Marxist International Relation theory illustrates it, these are some of the factors that brings about change in the world. Furthermore; on the 13th Oct 2017, Donald Trump refused to certify the Iran nuclear deal, which was initially agreed on the 20th July 2015, by the Five permanent members of the UN security council plus one (P5+ 1) who unanimously adopted the resolution endorsing the Iran nuclear deal. President Trump acted in contrary to the five permanent members of the UN security council plus Germany plus the European Union in this historic deal with Iran to limit Iran’s nuclear program. Perhaps Trump inexperience on the international Political stage is responsible for George W Bush and Barack Obama 20th Oct 2017 speeches. where they both spoke-out indirectly addressing President Trump’s actions: George W Bush, US President 2001 to 2009. Barack Obama, 2009 to 2016, about eleven months ago. Adebayo Adeshina_Hendon_M00609152; The examinations continue for another 36 months and beyond.